Epoxy Plus Quick Patch is a two-component, modified epoxy. It is the ideal product for patching concrete cracks, spalled areas and small holes (<1”) after surface preparation has been completed. 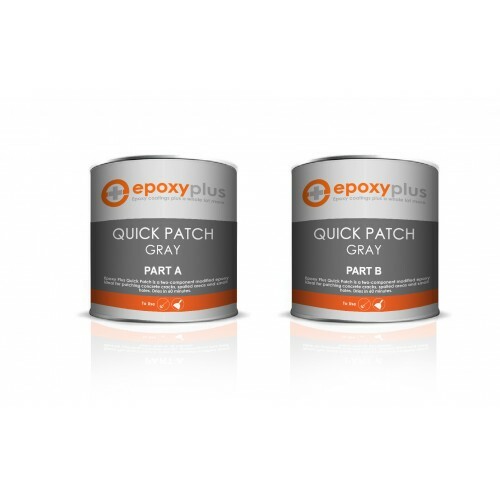 Epoxy Plus Quick Patch is formulated for smaller imperfections and surface cracks. For larger repairs and holes, use Epoxy Plus 100% solids epoxy. Its extreme physical properties and high load-bearing strength makes Epoxy Plus Quick Patch the ideal product for filling and patching prior to the application of all Epoxy Plus systems. 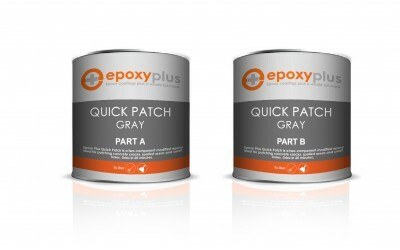 Epoxy Plus Quick Patch is specially formulated to accept epoxy coatings even before it dries. It will cure as the coating on top cures thus speeding up the overall installation time resin flooring systems.